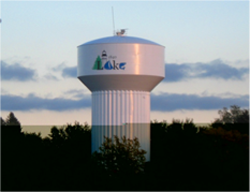 E. Dake Plumbing & Heating is proud to serve the Madison community! About Madison, OH - Happy to be your hometown Heating & Air Conditioning Contractor! The village of Madison, Ohio is found in Lake County near the northeast corner of the state. The settlement that would one day be Madison began collecting residents in the early 1800’s but wasn’t formally established as a village until 1867, when it was named for President James Madison. Originally, the settlement focused on mining and lumber, but it also went through economic periods of industry and agriculture. Today, Madison is a beautiful village that offers people a chance to appreciate classic New England architecture, enjoyable climates, and a quiet lifestyle. The Madison Historical Society is dedicated to protecting the history that so finely tuned the village. They have put together a regular newsletter, a collection of historical artifacts, a library dedicated to research, and a calendar full of informational programs. Because of the favorable weather conditions in this part of Ohio, many residents and visitors choose to spend their days playing a round on one of the many golf courses that are spread around the Madison area. These include: Powderhorn Golf Course, Thunder Hill Golf Club, Erie Shores Golf Course, and several others. Other ways to take advantage of the pleasant weather include visiting Grand River Cellars Winery and Restaurant. Visitors get the chance to explore winery grounds and taste some of the locally made wines. If beer better suits your tastes, the Cornerstone Brewing Companyoffers happy hours and other specials that allow guests to sample their finely crafted beers. Madison village has something to suit the entertainment needs of every visitor. No matter what you hope to do on your weekend away, this city is prepared to offer you quality time with friends and family.